Just one last reminder that our final Holiday parade is this Sunday in Marysville. The school is open at Noon (I'll be loading the trailer) if you forgot anything. Line up is at 1PM at Marysville Middle School back parking lot. 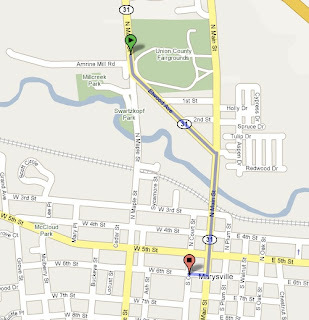 (38 North, just across from the fairgrounds) The parade begins at 2PM and ends at the Methodist Church at 6th and Court Streets. It is essentially the fair parade BACKWARDS. Dress warmly and please have your holiday parade music memorized. See you there! P.S. 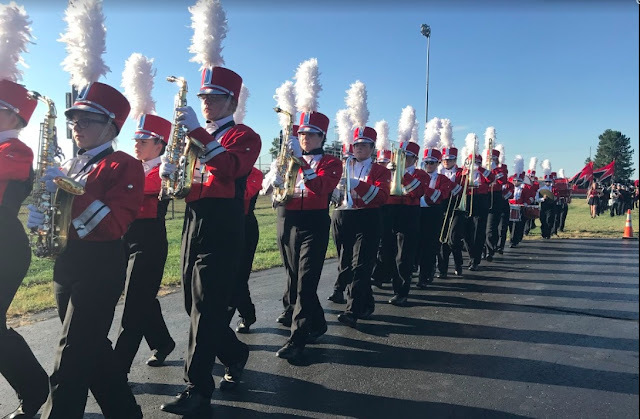 - Due to the Marysville levy failing, the Marysville Marching Band is not permitted to march in the parade, so we will be the only marching band in the parade this weekend.